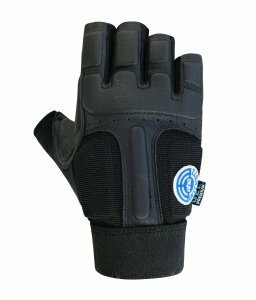 This especially developed shooting glove offers the shooting hand more direct contact to the sporting rifle, a lot of free moving space and max. padding. 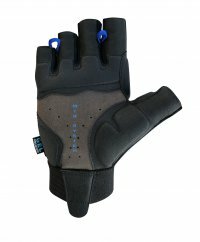 Special anatomically shaped Poron high tech gel padding on inner and outer surfaces of the glove adapt to the hand and provide an anti-slip grip distributing pressure evenly. The area around the thumb is also padded with Poron gel in order to reduce pressure caused by the handstop. If required, the glove can be washed at 30° C (hand wash), vented palm area reduces excessive sweating, breathable spantex material on the upper hand and holes in the knuckle area support the venting system. Elastic material was used between the fingers to improve the fit. An elastic aid to help the shooter to pull the glove on and off has also been fitted.